Hand surgery is the specialist area within medicine that deals with problems that affect the hand, wrist, and forearm. Hand surgeons provide care for these conditions. The treatment provided can be in the form of injection, splinting, physical therapy or surgery. Hand Surgeons are specially trained to operate when necessary. 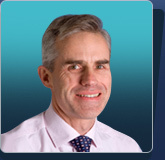 Jonathan Jones was appointed as Consultant Orthopaedic Surgeon at Peterborough and Stamford Hospitals NHS Trust in 2003. His main specialist interests is Hand & Wrist surgery. We are a highly skilled team of specialists who have spent years training in international centres of excellence in order to treat your problem in the most effective and up to date manner possible. Our doctors are committed to the continued development of their skills and we are proud to be able to offer state of the art treatments for a wide variety of orthopaedic conditions.